This page lists recent recall alerts for food and feed products that have been distributed to, and/or were produced here in Georgia. Recall notices come from the GDA as well as the U.S. Food and Drug Administration (FDA) or U.S. Department of Agriculture Food Safety Inspection Service (USDA FSIS). To learn more about a recall, click on any of the links below to display the full news release. 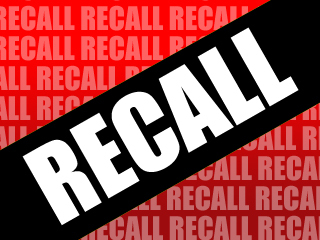 Only the most recent recalls are posted here, categorized annually by fiscal year (July 1-June 30); click on a year below to see additional recalls. Want to learn more about how recalls are classified (Class I, II or III) or other information about how they're issued? Click here for Product Recalls 101 | Click here for retail recall guidance. 8-lb. cases containing 2 bags of “HOMESTYLE CHICKEN NOODLE SOUP” with a “USE BY 01242020 LOT 01242019 28A” lot code. 9-oz. carton packages containing 2 stuffed pepperoni sandwiches with “Bremer CLASSIC PEPPERONI PIZZA Hot Stuffed Sandwiches” & “Bremer CLASSIC HAM & CHEESE Hot Stuffed Sandwiches” and best if used by dates of “AUG 12 2020” or “AUG 13 2020” on the label. Conagra Brands, Inc - is recalling Hunt’s Tomato Paste No Salt Added six ounce cans. After the canning process, the final product could have been damaged, creating the potential for mold. Century Snacks, LLC - is recalling SNAK CLUB HONEY BLISS NUT MIX due to an undeclared allergen (milk). The product was sold in 3-oz. and 5.75-oz. packages in 29 states, including Georgia under the Snak ClubÂ® brand. Hill's Pet Nutrition - canned dog food products has been expanded due to elevated levels of vitamin D, which can cause potential health issues in dogs. This recall expansion was caused by the same vitamin premix received from a U.S. supplier that was the source of the January 31, 2019, recall. Butterball - is recalling raw ground turkey products that may be contaminated with Salmonella Schwarzengrund. The products include the establishment number “EST. P-7345” within the label's USDA mark of inspection. These items were shipped to institutional and retail locations nationwide. Hometown Food Company - is recalling Pillsbury Unbleached All-Purpose 5 lb Flour (UPC 51500-22241) because it may be contaminated with Salmonella. Only Best If Used By Dates APR 19 2020 and APR 20 2020 are impacted. This product was distributed through a limited number of retailers and distributors nationwide. Monogram Meat Snacks - is recalling ready-to-eat pork sausage products under the Conagra Brand/Duke’s Meats Corp. brand names. The sausage snacks may be adulterated due to possible product contamination due to product tampering, following the production process. The ready-to-eat pork sausages are heat-treated and shelf-stable. The products have the number “EST. 795” on the product packaging, within the USDA mark of inspection and were shipped to retail locations nationwide. Choice Canning Company - is recalling chicken fried rice products due to misbranding and undeclared allergens (milk). The products came in 22-oz polybags called “FUSIA Asian Inspirations, Chicken Fried Rice, Complete Skillet Meal." The recalled items include those with a packaging date of 2/13/2019 and a Best if Used By date of 08/13/2020 AND a packaging date of 2/19/2019 and a Best if Used By date of 08/19/2020. The products have “P-45217” on the labeling inside the USDA mark of inspection. These items were shipped to ALDI store locations in GA and other select states. Washington Beef - is recalling ground beef chubs that may be contaminated with extraneous materials (hard plastic and metal). The ground beef chubs have a “Use or Freeze by” date of 01/20/19 and may still be in consumer freezers. The label of the product featured "EST. 235” inside the USDA mark of inspection. These items were shipped nationwide. Sid Wainer and Son - is recalling Jansal Valley brand Dukkah in 2.5oz containers because of the potential of it containing glass pieces.The product is packaged in a circular tin can with a clear lid labeled as Jansal Valley Dukkah, packaged in 2.5 ounce sizes. The cases contain 6, 2.5oz units each. Product best by date: 08/28/2020 Product lot codes: Case – L2033968 and individual tins – L2034198. Nature's Path Foods - is recalling EnviroKidz Choco Chimps, Gorilla Munch and Jungle Munch cereals for they may contain undeclared gluten (wheat and barley). Please follow the link to view the specified best buy dates and lot codes. Concord Foods, LLC - is recalling Concord Fresh Success Mild Salsa Seasoning Mix because it may contain undeclared milk allergen. The affected product contains a best by date code of 071121. TV Food LLC., non-federally inspected establishment - is recalling Cold Pressed Juice Watermelon WTRMLN WTR Original 12 packs because the products were not presented for import re-inspection into the United States. For the full list of frozen fish products click here. Bellisio Foods - is recalling frozen pork entrée products that may be contaminated with extraneous materials, specifically pieces of glass or hard plastic. The 14-oz. black cardboard box packages containing “BOSTON MARKET Home Style Meals BONELESS PORK RIB SHAPED PATTY WITH BBQ SAUCE & MASHED POTATOES” with “BEST BY:” dates of 12/07/2019 lot code 8341, 01/04/2020 lot code 9004, 01/24/2020 lot code 9024, or 02/15/2020 lot code 9046, represented on the label. VICS Acquisition - is recalling happi foodi chicken products due to misbranding and undeclared allergens. The products contain eggs, a known allergen, that is not declared on the product label. The items include happi foodi Bloody Mary Inspired Chicken, Southeast Grocers Brand Marsala Chicken and Southeast Grocers Brand Mediterranean Herb Chicken items were produced from Aug. 7 through Oct.15, 2018. Ottogi America - is expanding its recall to include: JIN JJAMBBONG’ Spicy Seafood Noodle (4PK) and ‘JIN RAMEN’ MILD TASTE (CUP) due to a possibility of containing egg ingredient undeclared on the packages. Here is the link to the full list. World Waters - is recalling Cold Pressed Juice Watermelon WTRMLN WTR Original 12 packs due to the potential presence of soft plastic that may be loosely floating in some of the finished products. Birdseed Food CO - is recalling Craft Granola Goldenola Turmeric & Ginger that was sold between the dates of 10/03/18 - 02/07/19, because it contains undeclared cashews. Frito-Lay - is recalling 7 1/3 oz. bags of Stacy’s Simply Naked Pita Chips because they may contain undeclared milk ingredients. The product have both a “Use By” date of 23 APR 2019 and a nine-character manufacturing code of “65M127902” listed below the “Use By” date. Maxfield Seafood - is recalling Siluriformes fish products sold in 14-oz. clear bag packages labeled as either “Maxfield Seafood SHEAT FISH CA TREN KET” or “Maxfield Seafood SHEAT FISH CA TREN RANG” with various “EXPIRY DATE” numbers (and some labels do not include an expiration date). Tyson Foods Inc - is recalling chicken nugget products that may be contaminated with extraneous materials(rubber) The recall includes 5-lb. plastic packages of “Tyson WHITE MEAT PANKO CHICKEN NUGGETS” with a “BEST IF USED BY” date of “NOV 26 2019,” case code “3308SDL03” and time stamps 23:00 through 01:59 (inclusive). Perdue Foods - is recalling ready-to-eat (RTE) chicken nugget products due to misbranding and undeclared allergens. The products contain milk, a known allergen, which is not declared on the product label. The recall includes 12-oz. packages of “PERDUE Fun Shapes Chicken Breast Nuggets” with a “USE BY” date of “MAR 11 2019” and lot codes 17009010 â€“ 19009010. Thrive Market - is recalling all unexpired lots of the Thrive Market-branded nut butters due to the potential for contamination with Listeria monocytogenes. Follow the link for the complete list of recalled products. Hill’s Pet Nutrition - is recalling select canned dog food products due to potentially elevated levels of vitamin D. No dry foods, cat foods, or treats are affected . Follow the link for complete list of recalled products. Oskri Organics - is recalling Oskri Organic Sunflower Butter, Tahini Butter and Thrive Sunflower Butter because it has the potential to be contaminated with Listeria monocytogenes. R. L. Zeigler Co., Inc., - is recalling ready-to-eat (RTE) poultry and meat sausage products that may be contaminated with extraneous materials (metal). The products came in 24-oz plastic packages with approx. 9 links. The two products under recall include “ZEIGLER A TRADITION OF GREAT TASTE RED HOTS” with a “Use By Jan 24 19” date and “EXTRA HOT ZEIGLER A TRADITION OF GREAT TASTE RED HOTS” with a “Use By Jan 24 19” date. Both products have “EST. P-9156S” within the USDA mark of inspection on the product packaging. These items were shipped to retail locations nationwide. Check your fridge & freezer! Perdue Foods - is recalling Simplysmart Organics Gluten Free Chicken Nugget which may be contaminated with extraneous materials (wood). The recall includes 22 ounce, plastic bags of frozen “PERDUE SimplySmart ORGANICS BREADED CHICKEN BREAST NUGGETS GLUTEN FREE” with a best-by date of 10/25/19. The product has a UPC bar code “72745-80656” on the label. RXBAR - is recalling several varieties of its protein bars which may have an undeclared allergen (peanuts). The products include single bars and 12-count cartons of multiple flavors, including (but not limited to) Apple Cinnamon, Blueberry, Chocolate Chip, Chocolate Hazelnut, Chocolate Sea Salt, Mango Pineapple, KIDS Apple Cinnamon Raisin, and more. For the full list of products, please click here. Johnsonville LLC - is recalling raw ground pork patty products which may be contaminated with extraneous materials, specifically black rubber. The raw ground frozen pork patties were produced and packaged on Sept. 27, 2018, Oct. 17, 2018 and Oct. 18, 2018. The recall includes the 24 oz. bag of "Johnsonville Grillers Cheddar Cheese and Bacon Flavor" with best-by dates of 7/24/2019, 8/13/2019 and 8/14/2019. Ottogi America Inc - is recalling below 21 items due to a possibility of containing egg ingredient undeclared on the packages. Products includes "Jin Ramen" a variety of instant noodles in plastic wrapping, cup and bowls. For the full list of products, please click here. Perrigo Company - in coordination with The Kroger Company is recalling Simple Truth Organic Banana, Strawberry & Apple Fruit Puree with Nonfat Greek Yogurt (LOT L8159, best by 08/06/2019, produced in Spain) due to improper labeling that does not indicate the presence of milk. General Mills - is recalling Gold Medal Unbleached Flour with a better if used by date of April 20, 2020. The recall is being issued for the potential presence of Salmonella which was discovered during sampling of the five-pound bag product. Jac Vandenberg Inc - is recalling cartons of Fresh Peaches, Fresh Nectarines and Fresh Plums because they have the potential to be contaminated with Listeria monocytogenes. The peaches, nectarines and plums sold at ALDI are packaged in a 2-pound bag with the brand Rio Duero, EAN# 7804650090281, 7804650090298, 7804650090304. Pet Food Product Alert: - FDA's Center for Vet Medicine is cautioning pet owners not to feed pets . Hare Today Gone Tomorrow Ground Chicken/Bones/Organs, lot 12.04.2018. If you have this product in your home, please throw it away (in a way that prevents animals from getting into it). This product may be contaminated with both Salmonella and Listeria monocytogenes, which can affect human and animal health. Animals who eat this product, and humans who handle the product, may contract foodborne illness. So far, one illness has been reported in a kitten. JBS Tolleson Inc., - is recalling non-intact raw beef products which may be contaminated with Salmonella Newport The following products were packaged on various dates from July 26, 2018 to Sept. 7, 2018, the full product list can be viewed here. This recall is an expansion to the original reporting made on Oct. 4. 2018. Use By date of Jan. 31, 19. The product bears case code A6382168, with a time stamp range of 11:58 through 01:49. J.M. Smucker Company - is recalling 9Lives® Protein Plus® wet, canned cat food due to possible low levels of thiamine (Vitamin B1). Del Monte Foods Inc - is recalling FIESTA CORN Seasoned with Red & Green Peppers due to under-processing. The products: 15.25-ounce (432g) cans with the following UPC number printed on the label: 24000 02770. Moonstruck Chocolate Company - is recalling Sea Salt Caramels Tumbled In Milk Chocolatebecause it may contain undeclared hazelnuts. Individual resealable plastic bag, net wt. 4 oz. The product is number is 312235 and the UPC code is 7 11175 12235 9. Cardboard box of 8/4 oz. bags. The box has the SKU number 312235 and the UPC code 10711175122356. J & J Snack Foods Handheld Corp - is recalling Fit & Active "Southwest Veggie Stuffed Sandwiches" due to potential contamination with Listeria monocytogenes and Salmonella. Suzanna's Kitchen - is recalling grilled chicken products due to an unapproved substance. The product contains concentrations of thallium. 8-oz. boxed packages of "NATURE RAISED Farms organic GLUTEN FREE GRILLED CHICKEN BREAST STRIPS" with a "Use By" date of June 20, 2019 and a lot number of "1718SUZ01". Frito-Lay - is recalling select 1/2 oz. bags of Smartfood Delight Sea Salt Flavored popcorn because they were inadvertently filled with cheese flavored tortilla chips that contain undeclared milk ingredients. 1-lb. packages of "Jennie-O GROUND TURKEY 93% LEAN/7% FAT " with "Use by " dates of 10/01/2018 and 10/02/2018. 1-lb. packages of "Jennie-O TACO SEASONED GROUND TURKEY " with a "Use by " date of 10/02/2018. 1-lb. packages of "Jennie-O GROUND TURKEY 85% LEAN/15% FAT " with a "Use by " date of 10/02/2018. 1-lb. packages of "Jennie-O ITALIAN SEASONED GROUND TURKEY " with a "Use by " date of 10/02/2018. GHSE LLC - is recalling approximately 738 pounds of ready-to-eat salad with meat products that contain a corn ingredient that may be contaminated with Salmonella and Listeria monocytogenes. The ready-to-eat salads with steak were produced from Oct. 11, 2018 through Oct. 14, 2018. The product size is 15.25-oz. and are concealed in clear plastic clamshell packages containing “Marketsideâ„¢ FIESTA SALAD WITH STEAK” and use by date from 10/17/2018 through 10/20/2018. The products subject to recall bear establishment number “EST. 45781” inside the USDA mark of inspection. These items were shipped to retail locations in Florida, Georgia, and South Carolina. The ready-to-eat pork head cheese items were produced on various dates from Aug. 27, 2018 through Oct. 5, 2018. Various weights of vacuum-sealed packages containing “Glorious Malone’s Fine Sausage, INC. GOURMET PORK DELICACY HOT SEASONED HEADCHEESE” and “Glorious Malone’s Fine Sausage, INC. GOURMET PORK DELICACY MILD SEASONED HEADCHEESE” with a “Sell By” dates from 10/26/2018 through 12/5/2018 and lot codes 3524 through 3540.The products subject to recall bear establishment number “EST. 15702” inside the USDA mark of inspection. These items were shipped and also sold via internet catalog sales. SLR Food Distribution Inc. - is recalling its 7.04 oz package of SUGAR MELON CANDY / WAX GOURD because it contains undeclared sulfites. The product was distributed throughout east coast in retail stores and through mail orders. The product package is marked with barcode 6912567116718 on the bottom and with a production date 2018.01.03 stamped on the top with expiration date of 2019.01.02. JBS Tolleson, Inc., - is recalling nearly 7 million pounds of various raw, non-intact beef products that may be contaminated with Salmonella Newport. All products included in the recall have "EST 267" inside the USDA mark of inspection on the labeling. Items were shipped to retailers and institutions nationwide, a full product list is available here. Callie's Charleston Biscuits - is recalling two varieties of their ham biscuits that contain potentially affected product from their ready-to-eat ham supplier, which may be contaminated with Listeria monocytogenes. The company's Country Ham Biscuits UPC: 897856002001 and Cocktail Ham Biscuits UPC: 897856002049 were produced and shipped between April 3 and Oct 3 to customers nationwide and may still be in consumer freezers at home. Whole Foods - is recalling 365 Everyday Value White Corn Tortilla Chips sold in 20 oz. bags. The product may contain other snack mix items, which may contain milk, an undeclared allergen. The affected product was sold in Whole Foods Market and Whole Foods Market 365 stores nationwide, with UPC code 9948247145 and best-by dates between January 24-25, 2019, printed on the front top of the packaging. Cargill Meat Solutions - is recalling several different ground beef products made from the chuck portion of a carcass that may be contaminated with E. coli O26. The ground beef (sold in 3-, 10-, and 20-lb chubs) was sold in retail stores nationwide. You can identify the recalled items because they have "EST. 86R" inside the USDA mark of inspection. The products were produced and packaged on June 21, 2018. See the full products list. Sweet Earth Foods - is recalling 8-oz packages of Sweet Earth Aloha BBQ Quesadilla due to undeclared allergens (egg and milk). A UPC code of 016741000551 appears on the back of the package. The “best by” date of 6/28/19 and lot number of 8149 appears on the side of the package. This product was sold nationwide at Target stores. HP Hood LLC - is recalling - Vanilla Almond Breeze almond milk due to the possible presence of an undeclared allergen (milk). The almond milk was sold refrigerated in half-gallon (1.89 L) cartons. The recall only applies to the product with a use-by date of September 2, 2018. Radagast Pet Food, Inc. - is expanding its Rad Cat Raw Diet recall to additional products because there is a potential for Listeria monocytogenes contamination. The products were shipped to distributors in the US and Canada between 5/10/17 and 8/9/18. This recall includes products within the following Lot number sequential range: Lot Numbers 62763 to 63101. These Lots have Best By dates of 10/19/18 through 12/3/19. Salt & Straw Ice Cream - is recalling Chocolate Gooey Brownie pints for undeclared allergen ingredients (peanuts). The product was sold by the store on the West Coast, and through online sales via www.saltandstraw.com between 7/17/18 and 8/13/18. Zakah Life, LLC - is recalling the folowing Kratom products Super Green Maeng Da Premium Kratom powder, Powerful Red Vein Bali Premium Kratom powder, Super Green Maeng Da Premium Kratom capsules, and Powerful Red Vein Bali Premium Kratom capsules with expiration dates prior to 01/01/2023. The products have the potential to be contaminated with Salmonella. The recalled Kratom products were distributed nationwide in retail stores and through mail orders. Gravel Ridge Farms - is recalling Cage Free Large Eggs due to a potential contamination of Salmonella. The recall includes eggs sold in GA, AL and TN. Here in GA the eggs were available at the following markets (all located within the Atlanta area): Candler Park Market, Grant Park Market, Westview Corner Market, Sevananda Natural Foods and The Merchantile. The recalled eggs were sold in single dozen and 2.5 dozen flats with UPC #7-06970-38444-6 and sell-by dates of 7/25/18 through 10/3/18. Bravo Packing, Inc. - is recalling Performance Dog products, a raw pet food because it has the potential to be contaminated with Salmonella. Performance Dog comes frozen in 2 & 5 pound plastic sleeves with a manufacture date code 071418. This code is printed on the boxes that contain the plastic sleeves (not on the individual plastic sleeves). The company works with the distributor Tefco out of Brooklyn, NY, who fills orders to that fills orders to small local retailers or direct sales to consumers. Sarap Asian Fusion - is recalling Asian Fusion Cookies (flavors Miso Milo, Matcha Chocolate, Black Sesame and Ube Cookies and Cream) due to undeclared allergens of wheat, milk and soy. The product was distributed through online mail orders and came in heat-sealed, polypropylene bags. Flowers Foods, Inc. - is recalling Swiss Rolls sold under the brand names Mrs. Freshley's, Food Lion, H-E-B, Baker's Treat, Market Square, and Great Value, distributed nationwide, and Captain John Derst's Old Fashioned Bread distributed in GA, AL, FL, NC & SC due to the potential for Salmonella in an ingredient, whey powder. The ingredient recall was initiated by a third-party whey powder manufacturer and supplier. Flowers Foods, Inc. - is recalling Captain John Derst's Old Fashioned Bread due to the potential presence of Salmonella in an ingredient, whey powder. The ingredient recall was initiated by a third-party whey powder manufacturer and supplier. Mondelez Global LLC - is recalling Ritz Cracker Sandwiches and Ritz Bits product These products contain whey powder as an ingredient, which the whey powder supplier has recalled due to the potential presence of Salmonella. Shearer's Foods, LLC - is recalling Food Lion brand 7.75 ounce packages of Dill Pickle Flavored Potato Chips because they may contain undeclared milk, an allergen. Pepperidge Farm - has been notified by one of its ingredient suppliers that whey powder in a seasoning that is applied to four varieties of crackers has been the subject of a recall by the whey powder manufacturer due to the potential presence of Salmonella . Kraft Heinz - is recalling Taco Bell Salsa Con Queso Mild recalled because the affected product is showing signs of product separation which can lead to a potential health hazard..
GiftTree - a gift basket company based in Vancouver, WA, is voluntarily recalling 94,000 units of “Sherman Candy Caramels” sold online in the several Gift Baskets because they may contain undeclared pecans, walnuts, almonds and/or peanuts. Radagast Pet Food, Inc. - is recalling Rad Cat Raw Diet Free-Range Chicken Recipe because testing results indicate they have the potential to be contaminated with Listeria monocytogenes. The Company is also recalling Rad Cat Raw Diet Pasture-Raised Venison Recipe because testing results indicate it has the potential to be contaminated with Shiga Toxin producing E. coli O121. Nueske's Meat Products, Inc. - is recalling 12,946 pounds of pork products due to misbranding.. The products may contain brown rice flour and glycerin, ingredients that are not declared on the product label. The products subject to recall bear establishment number “EST. 20341” inside the USDA mark of inspection. These items were shipped directly to consumers nationwide via internet and mail order sales. The GDA Food Safety Division sends out weekly email alerts for recalls impacting the State of Georgia. You can sign up for recalls of both food and/or feed (specifically pet food/treats and animal feed products). To add your email to either of these lists, please click HERE. CONSUMERS: Stay knowledgeable about recalls & understand how they can impact you, your family, friends and/or pets or livestock! If you think you have purchased a recalled product, do not open or consume it; instead, follow the instructions in the recall notice, +/or return it to the place of purchase. Get more tips, click here. INDUSTRY: All food manufacturers in Georgia must conduct finished product/ingredient testing and any confirmed positive test results must be reported to the GDA within 24 hours of obtaining the test results (even if the product is still in the firm's control). Report positives to 404-657-3627 or postiveresults@agr.georgia.gov. Get additional GDA guidance here; more FDA guidance here. If you think you may be experiencing symptoms of foodborne illness or "food poisoning," contact your local health department & notify a primary care physician (request clinical samples be taken to confirm illness).